Kleiner is currently fighting charges of gender discrimination and retaliation by former junior partner Ellen Pao, and Meeker was called as a witness for its defense. In addition to testifying that she had never personally experienced discrimination at the firm, Meeker said she has not been excluded from Kleiner Perkins events because of her gender. She also said she hasn’t observed any gender discrimination at the firm. 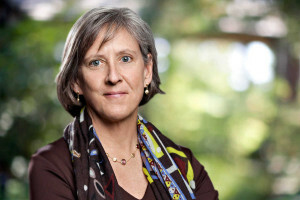 Meeker likely left an impression on jurors, particularly given her impressive career, from her early days at Morgan Stanley to her 19-year rise within the powerful investment bank, where she ultimately became the head of its global technology research practice. Defense attorney Lynn Hermle had asked Meeker about her background to highlight the contrast between Meeker’s experience and that of Pao, who says she was denied the opportunity to advance at the firm because of her gender. Pao, who at 45 is roughly 10 years younger than Meeker, has enjoyed an impressive but far less celebrated career, including as a law firm associate, as a business development executive at numerous tech companies, and today, as the interim CEO of the site Reddit. Still, Meeker didn’t make as ideal a witness for Kleiner as she might have, volunteering information about Pao’s investing instincts and politely pushing against some of defense attorney Lynn Hermle’s attempts to show Pao in a poor light. Hermle, for example, asked Meeker to contrast her experience with Chi-Hua Chien — a former Kleiner investor who was promoted to a more senior role — with that of Pao, who was not promoted at the same time. Hermle separately asked Meeker if Pao had ever come to Meeker and asked her to mentor her. “Not that I recall,” said Meeker. “I think I’m around, though I can’t say I’m the most available person at all times,” answered Meeker.